Dream of Destiny is excited to share news of churches, colleges and others across the country that have a vision for the full expression of reconciliation that a multi-ethnic church offers. In highlighting these organizations, DoD hopes you’ll be encouraged by their testimony and will pray for their progress. Today, the spotlight is on Milligan College in Tennessee. Special thanks to Pat Magness, Professor Emerita of Humanities, Interim Director of the Goah Diversity Scholars Program, 2013-14, for today’s post. In 2006, ethnic minority students made up only 5% of the Milligan College student body. By 2010, ethnic minority students made up 14% of the student body. (In raw numbers, there were 19 ethnic minority students in 1998 and 121 in 2012). This dramatic increase was no accident. It began in prayer and was energized by a deep commitment to the idea that diversity is God’s intention and desire, that Milligan College needed to take a proactive role in bringing about diversity, and that a multi-pronged approach would be necessary. “We will be a strong, vibrant, and diverse Christian collegiate community” was part of the Long Range Plan approved by the Milligan College board of directors. Strategic goals included creating a welcoming and diverse environment, increasing the level of cultural competency of all students, increasing multicultural classroom experiences, and increasing multicultural social and co-curricular experiences. These goals translated into specific actions, under the direction of Vice-President for Enrollment Management, Lee Fierbaugh. The president appointed a Multi-Ethnic Resource Team, including faculty, administrators, staff, and students. The College hired a Director of Diversity and established an Office of Diversity Services. The board added its first African American trustee. These actions were coordinated with earlier steps, such as the Teacher Diversity Grant, the Ethnic Studies requirement that was part of the general education requirement for all students, and the faculty Ethnic Studies Committee. Milligan’s first Director of Diversity Services, Nathaniel Moultrie, had the vision and the ability to generate a great deal of local interest in Milligan’s diversity initiatives, and both he and then-president Don Jeanes met with local ministers and other community leaders from the African American community to get their advice about how the college could best live out its commitment to diversity. The centerpiece of the diversity initiatives and the key to their dramatic success was (and is) the Goah Diversity Scholars Program. This scholarship program provides full tuition scholarships to eligible students who can enhance the diversity of the Milligan community and the educational experience of all students. The scholarships are entirely funded by the college, evidence of the deep institutional commitment to diversity. The name of the scholarship is also significant: it is named for Betty Hill Goah, a local African American woman who was well known as a community activist working on behalf of the poor, the sick, minorities, and the homeless. She was also an alumna of Milligan College. The Goah Scholars Program is much more than a scholarship. It includes academic, service, and leadership requirements. In the first year, there were 25 scholars. By the fall of 2013, there were 80 Goah Diversity Scholars having an impact in every area of campus life, including student government, theatre, athletics, music, social events, worship, and the classroom. Milligan President Bill Greer and his wife Edwina make a special effort to support and honor these scholars. From the dining hall to the residence halls to the classrooms to the playing fields, Milligan College students live, work, learn, pray, and play in a diverse community. When alumni return for a visit, they immediately see the difference. Faculty experience the increased depth of classroom conversation and the multiple points of view brought to bear on various issues. Current events in our country generate difficult conversations precisely because there are minority students present on campus. Milligan College is energized by its success in developing a more multicultural student body, but it is not satisfied with what it has accomplished. Jeff Smith, who began as Director of Diversity Services in 2014, is working with Vice President for Academic Affairs and Dean, Garland Young, to help the college realize its goals more fully. To reflect the wider focus, Smith’s position has been renamed Director of Multicultural Engagement, and he is working with faculty development, curricular development, and increasing the diversity of the faculty, in addition to his work with the Goah Diversity Scholars and student activities and programs. The college continues to pursue a diverse community that provides a living picture of the Kingdom of God. 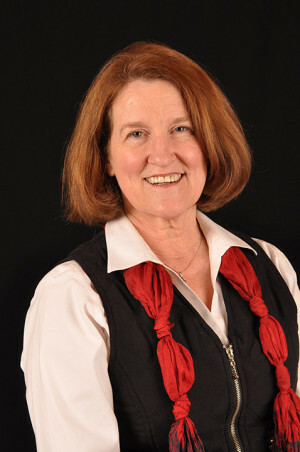 Dr. Pat Magness is Professor Emerita of Humanities and English from Milligan College. 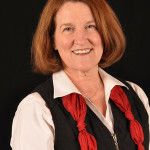 After retiring from a long career of teaching at Milligan, she served one year as the Interim Director of the Goah Diversity Scholars Program. During her years of teaching she was committed to multicultural engagement, serving on the Ethnic Diversity Committee and teaching African American literature as well as a seminar on the literature of American immigrants. She has also served for many years on the board of Pioneer Bible Translators, committed to making the Bible available to “every tribe, tongue, and nation.” She is married to Dr. Lee Magness, who teaches Bible for Milligan College and Emmanuel Christian Seminary. They have two sons and four grandchildren, and part of Pat’s commitment to a multicultural church comes from her admiration for her Korean daughter-in-law and her Taiwanese-American daughter-in-law.